One of the primary areas authors will consider before submitting to your academic journal is how you handle copyright. Today, with more researchers having to meet open access requirements, knowing where your journal stands on things like pre- and post-publication archiving will be of paramount concern to many authors. That’s why having a clear copyright policy is crucial. You should include general copyright information on your journal website so authors can quickly find answers to copyright-related questions prior to submitting their manuscript. Additionally, you’ll need a formal copyright policy document to send to authors if their manuscript is accepted. 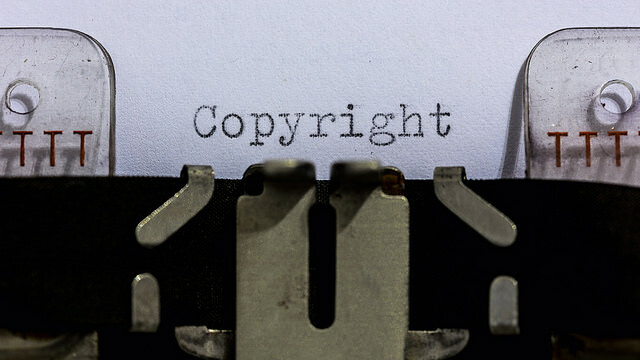 In this blog post, we overview how to best communicate copyright policies to authors. In order to address general copyright questions authors will have at the time of submission, your journal should include an overview of your copyright policy in the submission section of your website. You don’t have to include your entire copyright policy on your journal website (though you could link to it if you choose). What you should aim for is to have a paragraph or two briefly explaining your overall publishing agreement expectations. The primary copyright question most authors will have when submitting to your journal is - who will retain copyright of the published article? You should briefly address this in the copyright overview on your website and address it in detail in your journal’s full publication agreement. Some journals require the transfer of copyright, while others use a license to publish, which gives the publisher permission to edit, publish (digitally or in print), and distribute an article but allows the author(s) to retain copyright to the work. Whichever approach your journal decides to take, be sure to use exact language on your website and in your formal policy to avoid any confusion among authors. All journals should have a publishing agreement document that explains their copyright policy in detail. Copyright policies are legal documents that specify who retains the right to use and distribute an original work. Your copyright policy should explicitly state who is the copyright holder and detail the roles and responsibilities of the publisher and the author. Be sure to list out all author rights and to make clear any restrictions your journal will enforce to avoid ambiguities. Similarly to the author rights section, you’ll want to make the rights you expect the author(s) to grant to the journal explicit to avoid any confusion. You can find definitions for each of the above license options on the Creative Commons website. To ensure that authors are able to easily interpret your copyright policy, your journal can also include definitions of key terms at the end of the policy document. Some terms you may want to define to ensure authors understand their meaning as it applies to your copyright policy are “license to publish,” “institutional repository,” “version of record.” If you’re not sure whether a term could cause confusion, it’s best to include it in your definitions section. In developing and iterating on copyright policies, journals must keep the needs of authors in mind. There is no denying that open access is becoming more prevalent and many authors are either required to or feel strongly about making their work OA in some form, whether it is Diamond OA, Gold OA, or otherwise. If your journal is paywalled, consider how you can make your copyright policy as OA friendly as possible. This can include eliminating embargoes and restrictions on pre- and post-publication archiving and sharing of works. If you currently require authors to transfer copyright, you may also want to consider switching to a license to publish agreement. We hope you find this copyright advice useful! Do you have any questions or additional advice? Let us know in the comments section or on Twitter at @scholasticahq! Whether you have designated production editors at your journal or one core group of editors sharing the peer review and production work, you'll need to take certain steps to avoid bottlenecks between peer review and production. OA advocate Ulrich Herb shares his thoughts on requirements for a sustainable OA future, including key areas where he believes journal publishing must be improved. On Thursday May 18th 2017 at 10AM EST Scholastica is hosting a free webinar - OA Advocates Weigh in on Democratization of Academic Journals. Get the details of this event and save your spot!